It’s a conviction that has enabled Barnes & Noble College to evolve its fundamental role of campus retailer into research specialist, developing an ever-clearer picture of the needs, preferences and expectations of the campus markets it serves. 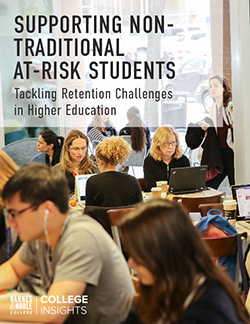 And in the process of developing its research platform, Barnes & Noble College has gathered new and fascinating customer insights on everything from the snacking habits of students to the expectations of a new generational wave of young consumers. 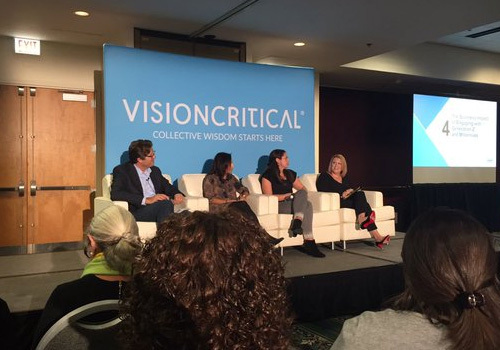 That expertise was recently on display at the Vision Critical Summit 2015 in Chicago, where Marie Policastro, Director of Brand Partnerships and Market Research for Barnes & Noble College, was invited to contribute to a panel discussion on the topic of Young, Rich and Powerful, How to Win the Loyalty of Millennials and Generation Z. “There’s a big fascination with these [two] generations,” explains Vision Critical’s Matt Kleinschmit, Senior Vice President and General Manager of the firm’s Integrated Consumer, Retail & Shopper practice. “Not only do Millennials and Gen Z represent the largest generation since the baby boomers — and that magnitude represents a customer base — but there’s a big difference from previous generations in the way they think about brands, how they shop, even how they think about themselves,” he says. 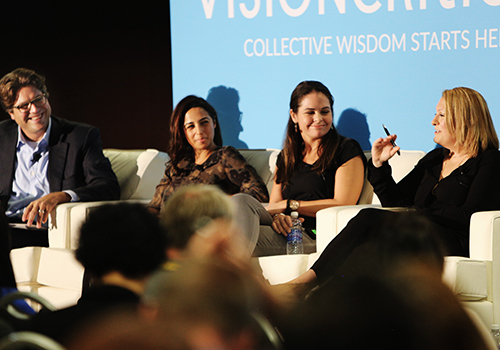 Vision Critical’s Matt Kleinschmit participates in the panel discussion, “Young, Rich and Powerful, How to Win the Loyalty of Millennials and Generation Z,” along with Tumblr’s Rebecca Rahmanian, Hewlett Packard’s Chrystal Day and Barnes & Noble College’s Marie Policastro. Vision Critical encourages clients to understand their customers and stakeholders by creating dynamic insight communities, which can help build ongoing engagement and dialogue for more confident decision making. It’s the kind of customer engagement Policastro described to the packed audience at the Summit. “We started our research panel of 6,000 active students — freshmen through seniors — 18 months ago as a way of staying ahead of the needs of students to make sure we’re really serving them as a support system while they’re on campus,” she explained. More than just an intelligence gathering opportunity, Policastro also pointed out that the community can provide deeper customer insights into student life and their perceptions of the services and products they really value. Her fellow professionals on the panel included Rebecca Rahmanian, Sales Development and Research Manager for Tumblr, and Chrystal Day, Senior Manager of Global Brand and Communications Insights at Hewlett Packard, who shared with the audience some of their inventive strategies designed to better understand this powerful generation of customers. 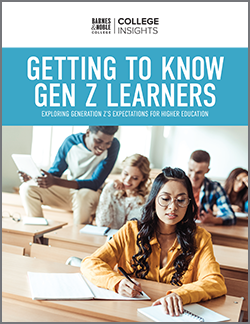 Research into Millennials has been a major focus of Barnes & Noble College, culminating in the publication of last year’s The College Student Mindset Survey, but the company has now also completed research based on 1,300 middle and high school students across the country, now known as Generation Z. “It’s provided us with a deep understanding of how we have to evolve our business so we can make very quick decisions on marketing strategies, the evolution of the bookstore and complete the picture of what retail looks like for prospective customers — both today and tomorrow,” Policastro said. That kind of deep understanding of their customers enables Barnes & Noble College to be especially responsive. A survey of last year’s freshman class revealed that they would value a more concierge-style bookstore experience to help them through the unfamiliar process of securing their textbooks. Armed with that insight, the company was able to respond with exclusive Freshmen VIP events — a bookstore outreach initiative that within a year garnered a 90 percent satisfaction rate of very good to excellent from students that attended. That kind of response is evidence of a highly engaged customer, as Vision Critical’s Kleinschmit points out. “Those results really validate the fact that you’re engaging with the right consumer, at the right time with the right type of exercise in the kind of highly relevant and authentic interaction Millennials and Gen Zs really value,” he says. “The way Barnes & Noble College engages with their customers increases students’ advocacy because they can see that they have input and that their feedback matters,” he adds.